NEW DELHI: The Reserve Bank of India (RBI) today announced that it would issue new Rs 50 and Rs 20 bank notes , but said the old versions of these notes will continue to be valid. The new Rs 50 notes won't have inset letters in the number panels. 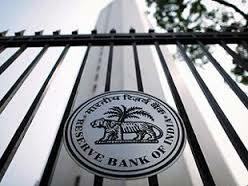 and the new Rs 20 notes will have the inset letter 'L' in both the number panels, the RBI said. Both new notes will bear the signature of RBI Governor Urijit Patel, and the year of printing - 2016 - will be mentioned on the reverse side of the notes. The RBI's announcement comes just weeks after the government scrapped the Rs 500 and Rs 1,000 notes at midnight between November 8 and 9. A new version of the Rs 500 note, and new Rs 2,000 notes, have been issued since then. government scrapped the Rs 500 and Rs 1,000 notes at midnight between November 8 and 9. 1 Response to "RBI to release new Rs 50, Rs 20 notes, but old notes will still be valid"
The new Rs 50 notes won't have inset letters in the number panels. 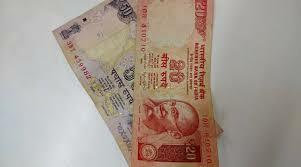 and the new Rs 20 notes will have the inset letter 'L' in both the number panels, the RBI said. Both new notes will bear the signature of RBI Governor Urijit Patel, and the year of printing - 2016 - will be mentioned on the reverse side of the notes.